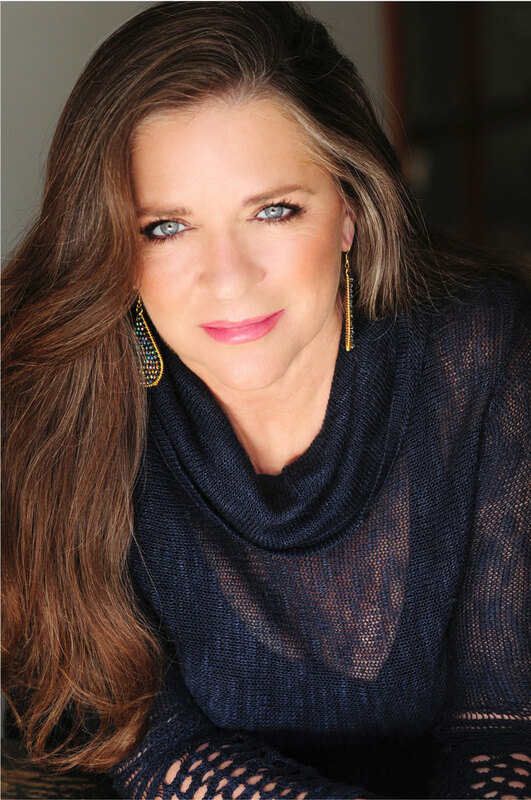 Carlene Carter doesn’t resemble the scarred survivor who occupies part of her soul as she sits on the sun-drenched porch overlooking a rented corner of East Nashville and welcomes her fourth husband, Joe Breen – a Julliard-trained classical singer, filmmaker, Broadway veteran and soap opera actor – as he returns from a neighborhood stroll with their two rescue mutts. Joe sings my last name in full, multi-syllabic glory, operatic even, as he excuses himself and ducks through the screen door and into the historic home with Sparky, a 7-year-old terrier mix, and gentle 14-year-old boxer-pit bull mix Rosie. She laughs at the irony that she has escaped from drugs but now her beloved dog’s latter days are given a boost because of that legal marijuana oil concoction. “I don’t use it,” says the 63-year-old who celebrates years of sobriety after a glorious musical life nearly left in tatters thanks to her various drug abuse problems, many of which made headlines. She is a survivor, unlike her long-time love Howie Epstein, bass player for legendary band The Heartbreakers; her long-time pal, that band’s leader, rock icon Tom Petty; and others who have shared her life. “Yeah, I don’t use it, but my dog does,” she says again of the cannabis oil. She flashes a smile that reappears frequently as the sunny late-morning happily drawls into mid-afternoon. Rosie Nix Adams died October 24, 2003, her body found along with that of bluegrass fiddler Jimmy Campbell, the result of carbon-monoxide poisoning from a propane heater in the bus in which they were staying near Clarksville. Drug paraphernalia was found near the bodies. Rosie was the only other daughter of June Carter, born from her marriage to former UT footballer and lawman “Rip” Nix, which came after she divorced Carlene’s dad, nice-guy Country Music Hall of Famer Carl Smith and, of course, before June’s long-lasting “Ring of Fire” marriage to John R. Cash. The death of the sister with whom she grew up was soul-searing punctuation on a season of loss for Carlene. Mom June died May 15 of that year. And John died Sept. 12 of heartbreak atop years of failing health. Hurt. Rosie, the dog, helped fill massive voids in her life. Drugs, alcohol and cigarettes helped fill the rest. This is not a column about death, tragedy and drug abuse, though we will visit those topics again, just as Carlene herself visited that world too frequently and will testify to that fact, almost as a public service. “If by telling my story, it can help someone else, then why not?” she adds as the rambling conversation between sometimes damaged souls pays occasional visits to her drug problems. But this is about good Carlene’s revival, much of which this beguiling human being can attribute to her desire to preserve and expand her legacy as matriarch of The Carter Family, arguably America’s most-important musical lineage. She proudly assumes this role, since grandmother Maybelle Carter, mom June, aunts Helen and Anita and sister Rosie are gone. Carlene’s grandmother Maybelle and her daughters preserved that sound for decades. In fact, a young Carlene was at times a new generational voice in what was alternately referred to as The Carter Family or The Carter Sisters. That’s a hefty legacy, enough weight to affect anyone, let alone an amazingly talented young woman – 1990’s “I Fell in Love” and ’93’s “Every Little Thing” are examples of brilliance – with dependency issues, some perhaps inherited, others fueled by lifestyle choices. Probably ought to note here that her “wonderful stepdad” Johnny Cash was a good and Christian man whose own chemical weaknesses had him leading by example. Even to the point that he drank one last beer with her – “you’re gonna be glad you did this,” he told her – while chauffeuring Carlene to one of her rehab stints. Oh, she has plenty of reasons to look back to her own substance struggles and those of her friends who didn’t come out on the other side. After all, she left Nashville as a child, really, a fiery and beautiful young woman, toting two tiny children with her to the great wide open of Southern California rock ’n’ roll. There she began hanging out with a young guy from Gainesville, Florida, named Tom Petty, who was going to conquer the world with his band, The Heartbreakers. Tom sang a song – “American Girl” – in which she could see herself. “It was written as if Tom knew my story,” she writes in an essay, “Tom Petty’s Smile,” posted on her carlenecarter.net website shortly after that dear friend died victim of rock ’n’ roll October 2, 2017. 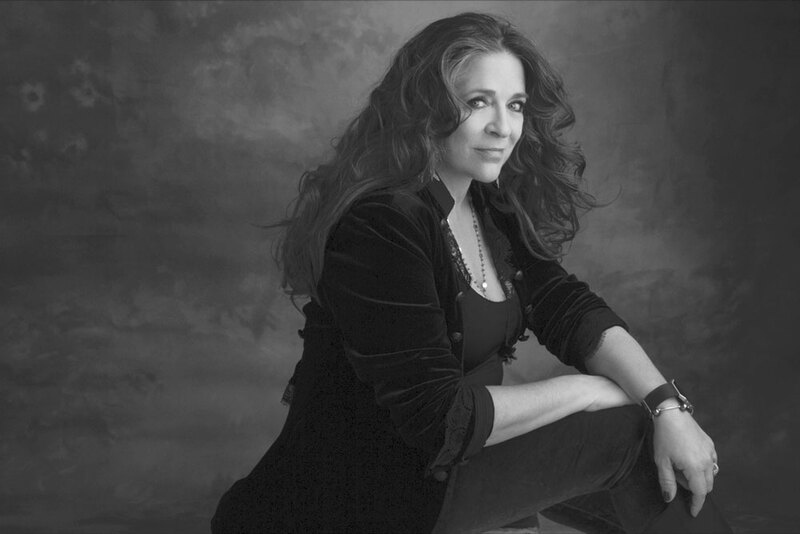 When discussing that essay saluting a man, not his death, Carlene Carter smiles. “I met Tom when we both were young,” she recalls, noting that friendship sprouted long before her long and ill-fated love pairing with Heartbreakers bassist Howie Epstein who, it turned out, literally could not live without her. As a fan of what I consider America’s best-ever rock outfit (E Streeters and Deadheads, I hear you moaning, and I’m among your ranks, as well), I’ll get into more about those friendships later. But really, this column is about one of the most beautiful souls I’ve ever met, a vital woman – “I can’t believe I’m 63” – who looks undeniably like her mother, June Carter, and who has “returned home” to Nashville, where she’s runnin’ down a dream to be true to The Carter Family legacy. And to create more chapters. “I’m looking forward,” says Carlene, focusing her bright eyes – she calls them “Appalachian blue, like yours” – scanning the horizon, the almost geometric butting of rooflines over her new neighborhood. “We still haven’t unpacked,” she says, leading the way through the stately and well-worn house where Burt Reynolds and Sally Field – two blue parakeets – chat away in the kitchen. The birds, of course, are named in honor of recently deceased former superstar actor Reynolds and the love of his life. Carlene, who has wandered the world variously sober and stoned, vows that those rambling days are over. She fetches me a glass of water from the sink near the parakeets and tour-guides through the house. It’s a relief to have “all of our stuff” – from artwork to CD collection to birds to dogs to some sort of Rolling Stones collectible and far more – in one place. “I’m home. I’m gonna stay. They are gonna scatter my ashes around here someday,” she says, adding that in this case “being home” doesn’t necessarily mean living permanently in this house. “When we rented it, we were told it was going to stay a rental,” she says, “so we’re hoping for that, but they have been talking about selling it. She also wouldn’t mind being by the water, a taste she no doubt acquired while living in Johnny and June’s Hendersonville lake house, surrounded by a collection of animals and a whole lotta love. The pony comment could be a remnant of the days spent with her father, Carl “Mister Country” Smith, who with his wife, Goldie Hill, had a ranch in Williamson County. Carl, a huge hit-maker with songs like “Let Old Mother Nature Have Her Way,” “Hey Joe!” and “Loose Talk,” raised cutting horses after an early retirement from country music. “One time my dad called me … and left on the answering machine: ‘Hello Carlene: This is God. Call me back,’” she recounts, an anecdote of her times with her father. “Dad said being a cutting-horse guy and challenging himself to do it when he did (and win a wall filled with championship trophies) was the most fulfilling and satisfying thing he ever did,” Carlene remembers. She smiles when recalling long conversations with her dad, an unrepentant chain-smoker, on the porch of his ranch house, puffing over talk of life, hope and dreams. “He liked it that I smoked with him,” she says, adding that she has been cigarette-free and alcohol free for many years and got back on the road to recovery from drugs in 2004. As it is for anyone with an addictive personality, nicotine has a grip hard to loosen. And while she no longer smokes, she still fights that addiction and gradually has dialed down the nicotine strength of the little machine from which she draws vapor sensually and exhales slowly into the clear autumn day. Yes, it does smell like Skittles. They talk and work on songs together. Carlene has five new self-penned songs she plans to use on an album with no timetable. It’s unlike her most-recent and wondrous 2014 effort “Carter Girl,” on which she began the reclamation of her musical roots by covering the songs of A.P. et al. Friends like Vince Gill, Willie Nelson, Cook and Kris Kristofferson join in the fun. And when was the last time you heard (Cash best buddy) Cowboy Jack Clement play guitar? “I was claiming my legacy,” Carlene says. This next album will continue with that traditional Carter Family flavoring, but with new compositions by this proud family matriarch. The album project nicely dovetails with a new Carter Family album which already has been recorded and includes almost all members of that clan, not just the ones around Nashville, but those carrying on the tradition at the Carter Fold (family homeplace) in Poor Valley, nestled up against the Clinch Mountains in Southwest Virginia. She’s referring to her half-brother, John Carter Cash, the only offspring of June and John. He was raised as a performer and he also “has really become a great producer,” according to his sister. That new Carter Family album – likely to come next spring – includes restored archival work by Mother Maybelle, who plays the electric autoharp on one song. There also are the recorded voices of the Carter Sisters. Carlene doesn’t claim to be the only driving force behind that recording. Her brother, John Carter, also did all he could do to make it a success, to honor his mom’s side of the family. I tell her I do and have written in the past, and in awe, about his dedication to protecting his weighty dual legacy. As the sunshine plays on her beaming face, it’s clear Carlene has rediscovered happiness and is a long way from her 16 years as companion of Heartbreakers’ bassist Howie Epstein. When she first began her life with Epstein, he was a rare breed among the L.A. rock scene, she says. He was a sober, non-partier, a good match for a young mother in her second year of sobriety. He even was a good substitute father for her kids. She discovered he had begun “chipping” heroin, sniffing occasionally but avoiding daily use and addiction. While cocaine was Carlene’s drug of choice, Howie eventually convinced her to try heroin, as well. But the brilliant bass player and Grammy-winning producer didn’t stop with the chipping. “Howie talked me into stopping work and going on the road with him.” She was his insurance, stirring him from dope sickness, making sure he made Heartbreakers gigs. “I had to leave Howie, with what was happening,” she recalls. She wanted to get clean from the heroin to which she had become addicted. “He had no interest …. I told him ‘I can’t come home until you’ve been sober.’ He never got sober. I left home with only a couple pair of jeans, my cowboy boots and T-shirts. “He always was in the dark, into dark things,” she says, adding that he unsuccessfully auditioned in New York to become The Rolling Stones’ bassist after founding member Bill Wyman retired. “He was real interested in getting into The Stones. He said he wanted to hang out with Keith (Richards),” Stones’ brilliant co-founder whose long history of heroin addiction and unlikely survival is the stuff of legend in the rock world. She left Epstein in May 2002, about the same time his band, weary of his erratic ways, fired him. And while he’d only been “sniffing” heroin until then, she says he escalated to the needle. He died in February 2003, the beginning of a year of death for Carlene. Howie wasn’t the only Heartbreaker who succumbed to heroin’s lure. So, did Petty. His 1990s use was kept secret until late in his life, but was much discussed when he died about a year ago from heart failure attributed to a cocktail of sedatives, anti-depressants, pain-killers and, especially, the opioid Fentanyl. The drugs reportedly were used so he could endure the pain of a fractured hip while on the Heartbreakers’ 40th anniversary tour. He died just days after the Hollywood Bowl finale of what he had dubbed the band’s “Last Big One” farewell tour. While hordes of people loved the “Refugee,” “Free Fallin’” and “I Won’t Back Down” singer from afar, Carlene had known and loved him for decades. The loss of America’s best band leader and her friend shadows Carlene’s Appalachian blue eyes. She says she never witnessed Petty’s heroin use when she was around The Heartbreakers. “Heroin is not a social kind of drug. They all go off and do it by themselves. It’s not that they get together and say ‘Hey, let’s get high on heroin.’ At least that is my experience. For Carlene, her own trips in and out of addictions would take up too much space. It should again be noted that her stepdad, Mr. Cash, served as her guide to reclamation and redemption from drugs, a battle he fought right up until the end. Her nicotine vapor gizmo set aside, Carlene stretches out while sitting on the porch, the slanting sun playing on those features reminiscent of her mom. While she may not be calling this house in East Nashville home permanently – remember the pony, after all – she is home, in Nashville, for keeps. “There’s a wisdom that comes from age and life experience,” says this beautiful soul. “I don’t want to miss anything else. Much of what she wants to do is to extend the life of The Carter Family. She’s already given a bass to one of her grandchildren, planting family seed. Of course, it’s not all music, either. She loves being around the seven grandchildren who live in Nashville, offspring of her daughter Tiffany Anastasia Lowe, 46, and son Jackson Routh, 42. A mom’s pride shines when she talks of them. “Everybody knows Tiff. 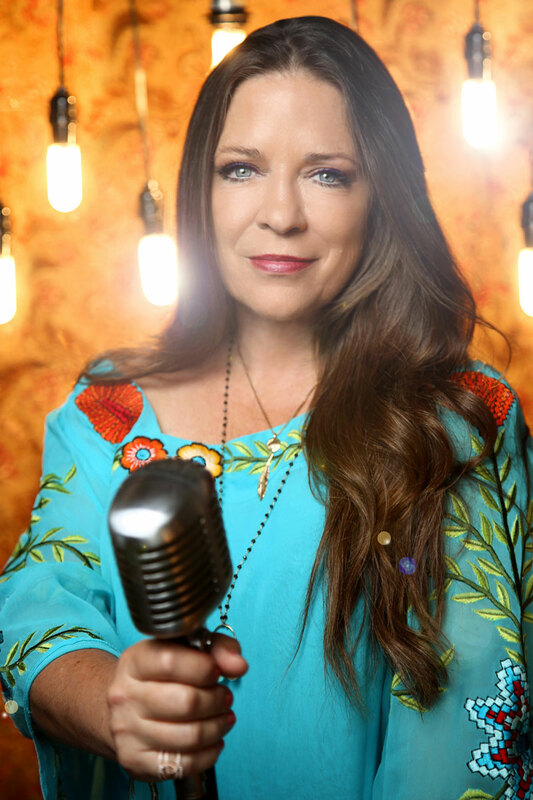 She’s a singer-songwriter and sings on the Carter Family album.” Mom couldn’t get Jackson on the new Carter album, but she got some of the grandchildren. Carlene mocks herself a bit when recalling a recent day when her visiting grandchildren wanted to ride those electric scooters overtaking Nashville.